Garden Helsinki is one of Finland’s largest urban development projects. Combining housing, entertainment and sports facilities, the new block will create close to a thousand new permanent jobs to Helsinki. The project’s preparation process is moving ahead and YIT has now been selected as its constructor and developer partner. 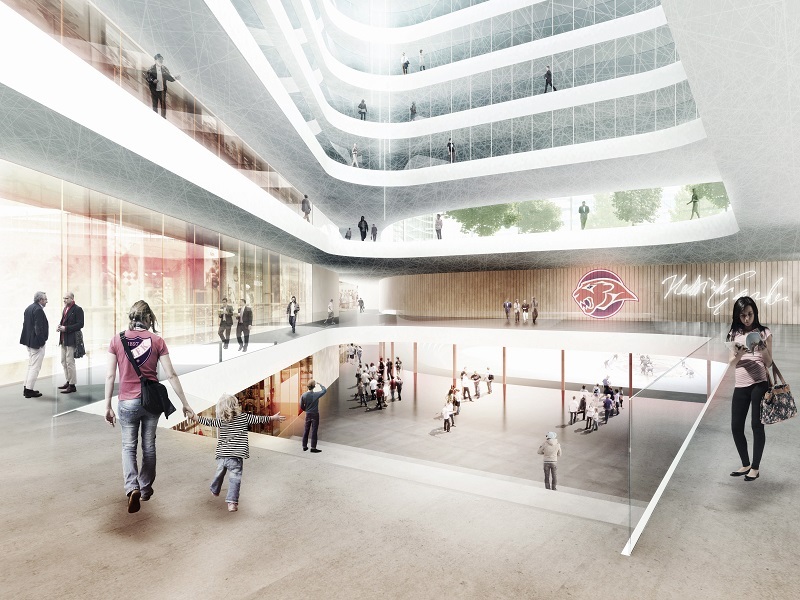 The new meeting place for Helsinkians will combine housing and recreational facilities both inside the block and in its garden-like outdoor space. The city block will host events as well as provide sports and restaurant services. It will also include a lot of open public space that will inject significant new life into the urban environment. “Helsinki is an increasingly international city that lacks a meeting place that combines sports, entertainment and daily life. In planning Garden Helsinki, we have put particular emphasis on how it will serve as a stage for the daily life, hobbies and experiences of local residents. It will also enhance people’s time management by housing recreational facilities and services under one roof,” says Timo Everi, Chairman of the Board of Project GH. Garden Helsinki is an excellent fit with YIT’s urban development strategy. As Finland’s largest construction company, YIT wants to be involved in building and developing more sustainable cities that enable low-emission consumption habits while also supporting people’s diverse housing needs and lifestyles. An attractive city maximises the possibility of spontaneous social encounters. Garden Helsinki will constitute a unique combination of everyday meetings and special events related to sports and recreation, along with the services that support these and sustainable housing in a central location close to the heart of Helsinki. “The Garden Helsinki project perfectly embodies our vision of more life in sustainable cities. In the increasingly dense urban environment, it will combine several different and attractive functions at a location that benefits from excellent public transport connections,” says Juha Kostiainen, Executive Vice President, Urban Development at YIT. Garden Helsinki will have a significant positive impact not only on the lives of the local residents, but also Helsinki’s finances. In addition to its permanent benefits, the project will generate some EUR 100 million in revenue for the city during the construction phase and provide jobs for approximately 3,500 people. Garden Helsinki will be funded by private investment. It will be largely built underground, including a sports and event arena that meets international standards. The parts that will be above ground will mostly consist of business premises, hotel facilities and apartments. The architects responsible for Garden Helsinki’s design are Tuomas Silvennoinen from PES Architects and Tuomas Seppänen from B&M Architects. Next, the project will be discussed by the City of Helsinki’s Urban Environment Committee, from where it will proceed to the City Council and the City Board. Garden Helsinki is a property development project planned for Nordenskiöldinkatu in Helsinki’s Töölö district. The plans for the Garden include a modern event arena that meets the highest international standards, along with a comprehensive range of related services as well as everyday services for use by local residents. Garden Helsinki represents a 2020s property concept that will take advantage of state-of-the-art technology and service design to provide its daily users with service experiences that brighten up their daily lives while also functioning as an attractive setting for world-class events. 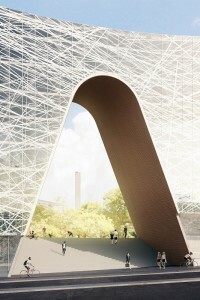 The winner of the invitational competition for architecture of the Garden Helsinki real estate development project has been chosen. The competition jury selected Arkkitehtuuritoimisto B&M Oy as the winner. B&M Oy will join the Garden Helsinki project planning team that includes the arena design specialist Populous and PES-Arkkitehdit. Five Finnish architecture firms participated in the invitational competition. The most modern event arena in the world is being designed in Helsinki, providing affiliated extensive ancillary operations and everyday services for the city residents. 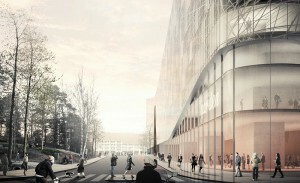 The project will be situated along the street Nordenskiöldinkatu. Garden Helsinki is a 2020s real estate concept where cutting-edge technology and service design are utilized for world-class entertainment events as well Helsinki residents’ daily needs. In addition to hosting exceptional sports and cultural events, Garden also provides its users with unique and every day services exclusive to the area. Helsinki City Board decided on the design area reservation for Garden Helsinki project on Monday, 27.6.2016. The City Board voted to approve the measure with only minimal adjustments to the original proposal. The design area reservation was granted to Garden Helsinki project until 31.12.2018. The main owners of the basketball league team Helsinki Seagulls, Janne and Sinikka Kulvik, have made a significant investment in Projekti GH Oy, the development company of Garden Helsinki project. Previous investments in the Garden Helsinki real estate development project have been made by, among others, Oy HIFK-Hockey Ab, Taaleri Kiinteistökehitysrahasto of Taaleri Oyj and Finnish private citizens. – The Garden project is not only vital for sports in Helsinki, it is becoming the most modern event center in the world, that will make all of Helsinki proud. We are glad to be able to join the project development at this stage, says the CEO of Seagulls, Sauli Silvonen. 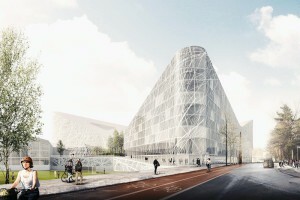 – Helsinki Garden creates an opportunity for unique entertainment supply, and the services and infrastructure of the technically advanced event center will exceed the high expectations of both the athletes and audiences, Silvonen continues. The Helsinki City Board gave the Garden project a provisional design area reservation for two lots on both sides of the Olympic Stadium in May 2015. The location decision and lot reservation is expected to reach the decision-making stage in the city governing bodies during April 2016. – The commitment of the Seagulls to the project alongside IFK strengthens not only the development budget of the project, but above all strengthens the solidity and practicality of future operations. This must be the first time in Finland organizations from separate sports join in an endeavor of this magnitude, comments Timo Everi, chairman of the boards of IFK and Projekti GH Oy. – In addition to the growth in the popularity of basketball, our understanding of the significant needs and desires that Garden Helsinki can fulfill has grown due to our ongoing dialogue with various sports and cultural operators as well as residents of the Töölö community. The project has been developed and planned in unison with the city for five years. Now we anticipate the next step, Timo Everi says. Taaleritehdas joins in the development stage of Garden Helsinki project. 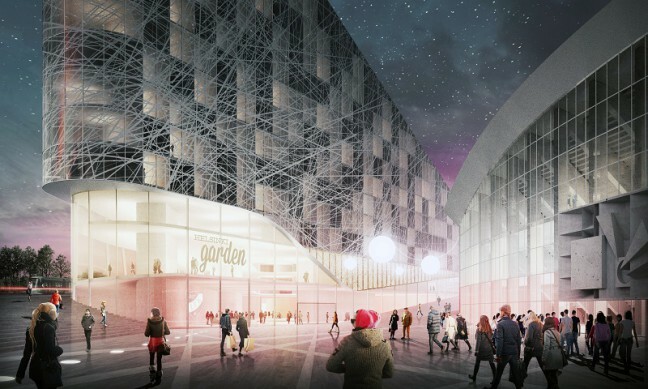 Garden Helsinki is a comprehensive real estate development project planned for Töölö, the most publicized part of which is the event arena that will function as, among other things, the home venue for Helsinki IFK. Taaleritehtaan Kiinteistökehitysrahasto ky will become one of the financiers for the project. Taaleritehdas has agreed to participate in the development stage of a comprehensive project called Garden Helsinki. Garden Helsinki is a comprehensive real estate development project in Töölö, Helsinki, to be realized with private funding. 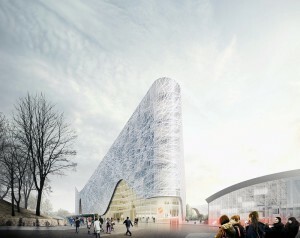 The project includes a street block area in Mäntymäki, Töölö, with a planned modern event arena, hotel, shopping center and parking services as well as apartments. The planned total extent of the project is approximately 120,000 m2 and the estimated costs roughly 400 million Euros. 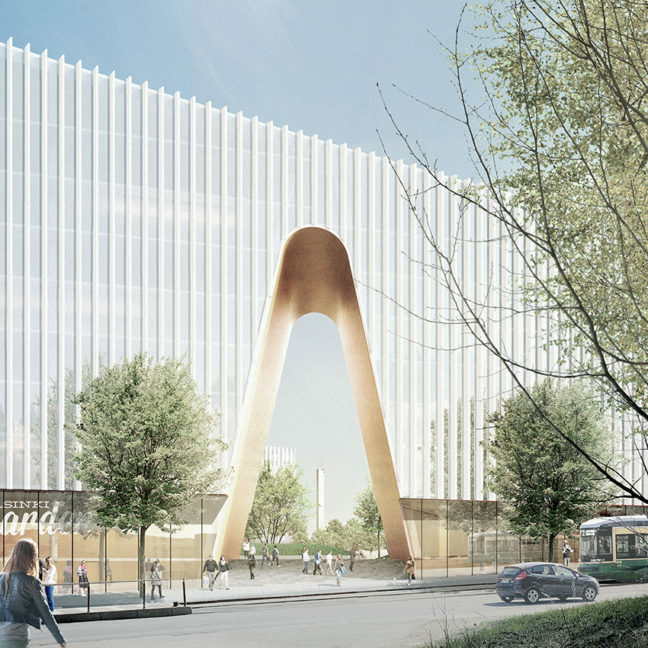 The project complex will be located in a very central area in Helsinki city center, close to the premises of the Olympic Stadium. Taaleritehtaan Kiinteistökehitysrahasto ky will be one of the development stage financiers of Garden Helsinki project. ”Garden Helsinki represents a modern city center extension construction project, where the renewed street block area adds to the service supply of the area in an excellent way and creates new real-estate content to the city. In addition, the planned event arena with its services is a big step forward for the staging of major sports, entertainment and events in all of Finland” , the director of the Taaleritehtaan Kiinteistökehitysrahasto, Jouni Alho, says. ”We are delighted that Taaleritehdas has committed to the project, and we believe that this cooperation will strengthen the resolution of the process. In addition to financing, Taaleritehdas also brings forth a wide range of competence and experience to the further development of the project, which we deem highly beneficial”, says Timo Everi, chairman of the board of Projekti GH Oy. Garden Helsinki project has an initial lot reservation from Helsinki City Board, and the project development stage is running. The estimated duration of the project development stage is 1 to 2 years and the duration of the construction stage will be roughly two years from approval of the land use plan and granting of the construction permit.